In the 1940s, they did have a lot of sports as they had today, but they were different in many ways. Now remember the time period, this is 1940s, so World War II was raging in the east, and that will affect a lot in this area of the American culture. While World War II was going on in the east, we were sending over men to help stop Hitler. All men between 18 and 26 years of age with good health were expected to serve in the Army. This did effect most sports, though not all. One of the most common sports not effected was baseball. A lot of the rubber went to wars, so sports balls were made differently, sometimes effecting the style of play. There was also a wood shortage, so bowling pins and baseball bats were hard to have during this period. 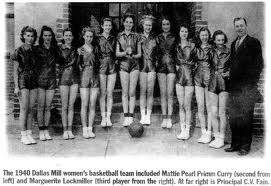 Basket ball was one of the sports not effected because player's height made them ineligible for the military. Another untouched sport by the military was baseball. Baseball was one of the most popular sports of this time, so President Franklin D. Roosevelt signed the Green Light Letter that signaled baseball to keep going. The Green Light Letter was a letter from President Franklin D. Roosevelt supporting the playing of baseball during World War II because there were so many fans and players. A copy is given below. Basketball was one of the sports not effected by the war, because of their tall height, it made them ineligible for the military services. Two big organizations of basketball were established in the 1940s, the Basketball Association of America (BAA), established in 1946, and the National Basketball League (NBL), established in 1949, that went on to make the National Basketball Association (NBA). Not only men played this sport though. Women played basketball as well. Like I said earlier, baseball was a sport "untouched" by the military and the biggest war in history. President Roosevelt signed a letter to be sure so. 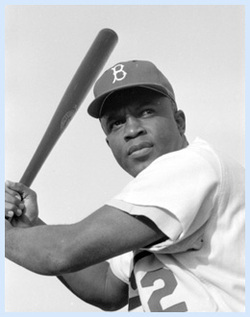 Jackie Robinson was a famous African-American that played for the Brooklyn Dodgers in the 1940, and was also the first African American to play baseball professionally. He was also one of the first baseball players to appear on a postage stamp. He had a batting average of .311. 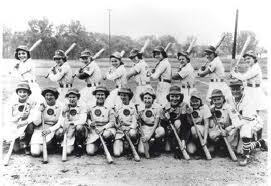 Yes, it does seem baseball was a boys/mens sport mainly, but believe it or not, they had the All-American Girls Baseball League (AAGBL). Women or Girls that played this sport had to wear dresses, which was the fashion for women back then, and attend Charm School. Soccer was popular in the 1940s, but not as popular as baseball, or any of the other sports. This, unlike some others at this time, didn't have a women's professional, or really any level team. There were amateur teams for men, but that ended in 1948, one of the clubs being the Xeneise Club, opening their first stadium in 1940. The FIFA World Cup is held every 4 years, but 2 of the world cups, in 1942 and 1946, supposed to be held in Germany and Brazil, were both cancelled due to World War II and its aftermath. NASCAR was one of the sports not effected by the war, because it didn't start until afterwards. 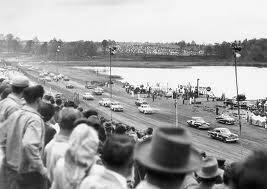 The first NASCAR race was in 1946, almost immediately following the end of World War II. In the first race, 24 cars dropped out due to either mechanical malfunctions/failures and wrecks. Boxing was popular, though not as popular as today. This sport was effected by the war, but more by choice then by "force". From 1941 - 1946, 4,000 professional boxers joined the military to go over seas and fight the war. Football in the 1940s is not even close to some of the football we have today. Though, during this period of football was when some of the rules of today were shaped. Football wasn't just called football, but 2-Platoon Football. At first, they were teams of only 11 having no subs at all during the game, but during the years, they made bigger teams with subs available, but only on injury. Another change of the sport was the use of the penalty flag, first used in 1941, but became official in 1948. Women played this sport more then men during this period. The 2 most well known organizations for golf was the Women's Professional Golf Association, established in 1946 (WPGA), and the Ladies Professional Golf Association (LPGA), established in 1949. Some more sports, even though they were not as popular, included tennis, gambling, and bowling. Most sports had college and professional teams. Some had National, but very few, soccer being one of them. 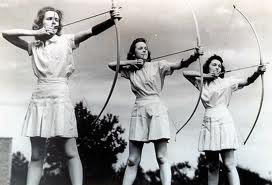 Archery was also around in the 1940s. Some women did archery. When women played sports, most of the time, they wore skirts or dresses because it was frowned upon for women to wear pants, or it was "unnatural". Many sports of today were around in the 1940s and have similar or same rules, regulations, and ideas. Change evolves over time, caused by people as well, so lets take a closer look and compare these to the sports of 1940s. One change is that there is no "big war" and well-fit men from ages 18 to 26 are not forced to serve in war. Not a lot of National or world events effect many of the sports today. Sometimes, fans change up some things that happen. Like with the Superbowl, some of the most popular singers come and preform at halftime. We do still have basketball, men and women's, but basketball players aren't said "no" to if they want to be in the military because of height. Some changes are the NBA is the main basketball organization of today, which did come from the NBL. 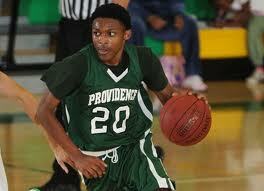 Another change in the sport of basketball is that there is no longer a Basketball Association of America (BAA). Baseball is still played today, though only by boys. One of the changes to this specific place in culture is that the All-American Girls Baseball League is no longer available for playing. Girls today play softball. Two more additions to baseball, was it was made simpler for little kids to play. Up north, they have a farm-ball league, baseball for little kids. Down south, we have T-Ball teams, also a version of baseball, but for little kids. 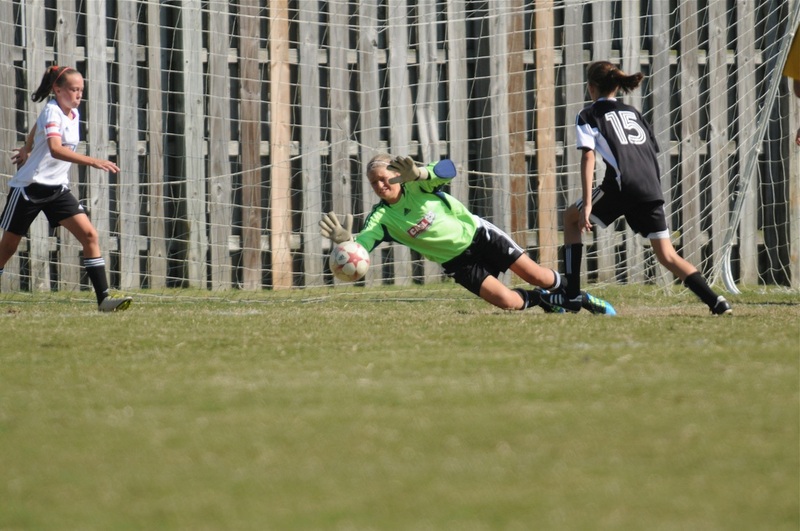 Today, one of the big changes to this sport is the addition of girls teams. We have both men's and women's national teams, with the women winning 2 world cups. We also have kids as young as 3 playing soccer, when you used to not be able to start until you were in high school to adult. Soccer today is more popular in Europe than here, but it's still widely spread. 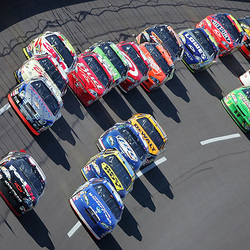 One drastic change to NASCAR is the style of the cars and how much faster they drive. There are also not just races, but series, or tournaments. For instance, today, they have the Sprint Cup Series, Nationwide Series, Camping World Truck Series, Corona Series, and the Regional Racing Series. Another change is that it is much more popular now than it was in the 1940s. Several people, guys and girls, do boxing today, which one of the changes is adding girls/women. 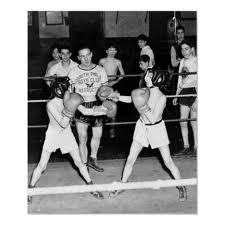 Boxing has pretty much stayed the same from 1940s to today, but there were still some changes, such as style, technique, and safety (like the glove's thickness getting thicker to protect broken hands). Football has changed many ways, one of which is the safety. For instance, the padding on the legs, a more protective helmet, bigger shoulder pads, and abdominal protection. Another way this sport has changed is they now have a National Football League, or NFL. It is also a whole lot popular. Football is the number one American sport right now. Another change is that you can sub any time, not only on injury, like in 2-platoon football, back in the 1940s. Golf has changed over the years...women still play the sport, but now its just as popular with men. Now, golf may not be as popular as football, soccer ,basketball, or baseball, but it is still a widely played sport across the nation, and in Europe even! Golf also has tournaments held today--like the Masters and the PGA Tour, which are the 2 biggest. Along with famous things--Tiger Woods is one of the most famous male players in golf. 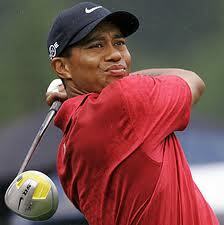 Tiger Woods, born on December 30, 1975, is now one of the most known golf players, for men anyways. He is also the best, or highest, paid professional athlete in the world. Softball was around in the 1940s, but it wasn't truly a sport (not named yet, so it wasn't considered a sport) if you know what I'm saying. The All-American Girls Baseball League "formed" softball in a way. They also have a National team for softball. Even though softball seems like a girls sport, it is played by men too. There are some co-ed teams for softball, but the sport is mainly played by women and girls. The United States and 113 other counties have joined the International Softball Federation, organized in 1952. Women and men play most sports equally today--men and women play soccer, tennis, golf, boxing, softball. Also, the fashion has changed for women, who today are allowed to wear shorts and pants when playing sports. They don't have to wear skirts or dresses, or attend charm school. Look through this selection to take a deeper look into the changes from the 1940s to today, and what exactly happened. You will also look at how some examples are the same, and some that are different. In what ways are the 2 time periods similar? In what ways are they different? Do there seem to be reasons from these similarities and differences? These examples from the time periods are similar, because most of the sports they played back in the 1940s are the same sports we play today. Some other similarities are that women still play sports, as well do men. Some other similarities are there are still some of the same rules and regulations as they had in 1940. Some differences of that culture of sports to today is that some leagues were created, while others were "erased". Another difference was that some girls played a sport, then that sport changed into another, or got more simpler for other kids. Some of these changes, like I mentioned earlier were effected by World War II and America needing soldiers, but not everything was effected by the Great War, somethings were changed because of entertainment purposes--like one thing got too boring. To think, honestly, how much in our world today even stays the same? What are any differences in forms of your examples from each time period? Some of the differences are the fashion of the sport--for men and women, but women mainly. For instance, women no longer had to wear skirts and could dress as men do playing these sports. Men's fashion changed in football and soccer mainly--football more padding and different uniforms and soccer went from long sleeves and shots as short as the mid-thigh to longer shorts and long or short sleeved uniforms. Some other differences are the ways that women worked there way into being treated as equal as men in being able to play sports. How do your comparisons of these examples from both time periods relate to the ideas of change? The ideas of change, or the five types of change, are "Change is linked to time," "change is everywhere", "Change may be positive or negative", "Change may be organized or random", and "Change can happen naturally or be caused by humans." All of these generalizations fit under this category of sports in culture. This idea of change relates because time causes things to change...as the world goes on, new things are invented, people's interests change, which is why change is linked to time can relate to the sports culture of 1940s and on, or really, as long as the world exists. This idea of change relates to this culture because everything is always changing--people, objects, inventions, etc--and everything includes sports, and everything with it. This idea of change relates to this culture because most of these changes that changed sports, or will change sports, is positive because it usually changes to how the people like the sport, or people's interest in entertainment. This idea of change relates to this part of the culture in America because most of these changes were organized by someone...I don't think rules, regulations, ideas, or pretty much anything in sports can't really be changed randomly. Most of these changes were caused by people. 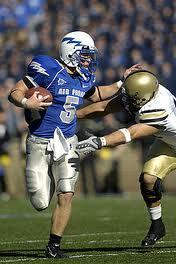 For instance, World War II was caused by people, new equipment, jerseys, uniforms, and rules were changed by someone. In What Ways do Your Examples of Popular Culture in Both Time Periods Reflect National and/or World Events? Most of the changes from the 1940s reflect the war going on in the east. World War II effected how people lived, what they could do, and lots of other things. Most of the changes today in this culture reflect only national events, since there aren't any huge world events going on that effect the way everyday citizens live.